To watch my comments about the governor’s spending plan, click here. 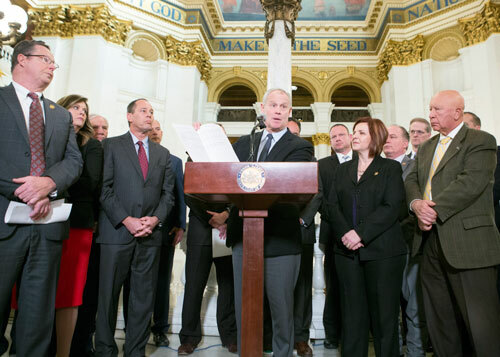 I stood with Republican Leadership from the House and Senate during a press conference immediately after the governor’s budget address. I told the media that we will be cautious about this budget proposal as we begin three weeks of budget hearings. Our focus during these budget negotiations needs to be on creating a budget that keeps spending growth low, fosters an environment for job creation, and creates value for our hardworking taxpayers throughout Pennsylvania. 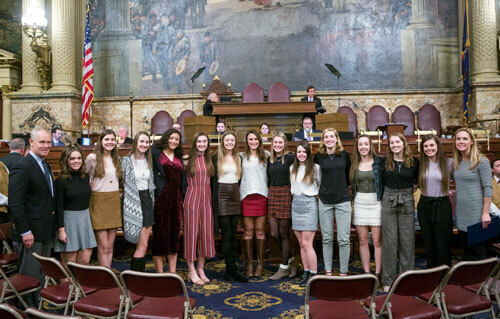 It was my pleasure to welcome the North Allegheny Girls' Volleyball Team to the state Capitol in Harrisburg. The Lady Tigers enjoyed a perfect 23-0 season in 2018, including the PIAA Quad "A" state championship. The girls will carry a 47-match winning streak into the upcoming season. Girls, your commitment to athletic and academic excellence is outstanding. I know that it is not easy to balance all of your activities between school, homework and practice. But your dedication, determination and hard work have paid off big time. Congratulations to coach Heidi Miller and her girls' volleyball team. You have made us very proud! A representative from the American Legion will be at my office to assist veterans and their families. Through this outreach, we are able to provide some direct links between our veterans and the services and programs available just for them. 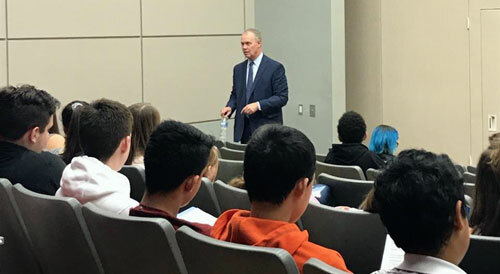 Each year, I visit Marshall Middle School in Wexford to talk to students about the importance of a good, solid education and how it relates to jobs in the future. I stressed to the students that every person has something they’re good at. Every single person has something to offer. And they have a responsibility to themselves to discover what that is. That’s the opportunity an education can provide. And that can translate into a top-paying job in the future. To apply, interested students should visit RepTurzai.com and click on “House Scholarship Information.” The application deadline is March 1. Opening Day of trout season will be Saturday, March 30, for Pennsylvania’s southeastern counties. However, Saturday, March 30, will be the day when the season opens in our area.